Every other week or so a new thread pops up in the webOS Nation Forums about the possibility of building our own webOS smartphones or tablets. It always seems to garner a bit of attention, especially when the poster comes in with a set of state-of-the-art (or beyond) specs for their phone that they may as well have lifted out of the latest and greatest Android handset. While this kind of thinking can be fun, I'm here today to dump a bucket of cold water all over it. Today's smartphones are incredibly complex devices. They're designed by teams that include dozens of electrical and computer engineers and have to be durable, stable, fast, thin, receptive, attractive, unique, and affordable. They're financed by huge companies with far reaching supplier, contractor, and partner relationships. They're created with the support of carriers and the interest of customers. While conceptually a smartphone is a computer, building a smartphone is nothing like building a desktop computer. Go down to your local computer parts store and tell me how many cell phone processors, radios, and motherboards you see on the shelves. That's right, none. And these are products that are produced by the tens of millions. Consider for a moment the parts that make up a smartphone, say… an HP Pre3. There's a processor and graphics chip, RAM, storage chip, accelerometer, compass, two cameras, radio chip (incorporating GPS, Wi-Fi, Bluetooth, and cellular), USB controller chip, Micro-USB port, LCD panel, capacitive touchscreen, battery, slider, keyboard, case, Touchstone coil, three switches (power, volume, and ringer), two speakers, two microphones, LED flash, multiple antennae, mirror, front glass, SIM slot, no fewer than screws, and numerous other components, plus AC adapters for the US, Europe, and Asia, USB cable, manuals, and packaging - all sourced from dozens of different suppliers, the vast majority of whom are located in China. Chances are, you are not located in China. Apple's latest Supplier Responsibility Report indicated that the company employs the services at least 218 different suppliers - and this is a company that has standardized design and manufacturing processes across their entire product line - the same techniques are used in producing everything from the iPhone and iPad to the MacBook Pro and iMac. While building one smartphone may only take a quarter of that number, that's still a lot of suppliers to fabricate one device, and those kind of relationships can't just be conjured out of thin air. And let's not forget the cost of each of these components. When crews like iSuppli tear apart a device and give a cost estimate, they do so based on the bulk cost that the manufacturer and its suppliers pay. They get that bulk cost by ordering millions of the same chips and screws and screens - and by paying upfront for them. These suppliers all have a limited capacity, and any small-time manufacturer is going to be competing with Apple and Samsung and Nokia for parts. When you're ordering 50,000 processors from Qualcomm vs. Nokia's three million, who do you think Qualcomm is going to pay attention to? Let's say by some miracle you've conjured together the parts you need to start building smartphones (and for purposes of this exercise, let's say you have an assembly factory too). Do you have design plans for that smartphone? Oh, yeah, you need people to do that too. No one person can be an inside-and-out smartphone designer, at least not in anything resembling an efficient and speedy manner. 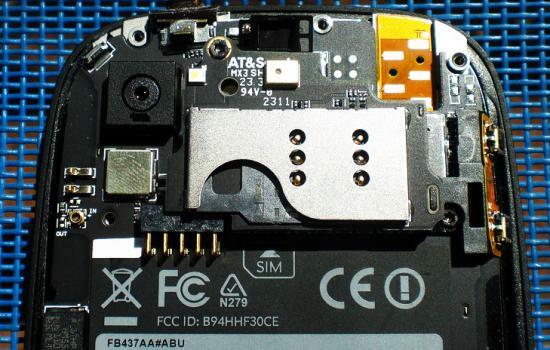 Like I said at the outset, smartphones are immensely complicated devices, and they're getting more and more compact, at least as far as the processing bits are concerned, all in the name of slimness and more space for the battery to power the whole kit. Who is going to make this work? A team of radio, electrical, and computer engineers, plus a crew of hardware designers and managers to help make the should-we-do-it-this-way-or-that-way? decisions and make sure it all works together. These people don't come cheap and they're in high demand from the Apples, Samsungs, and HTCs of the world. Oh, you have your team and a space for them to work, build, and test this smartphone? Awesome. Alright, where's the money? Yeah, the money. This isn't going to be cheap. Need evidence? Look no further than Palm to see what it takes. Palm came into 2009 with the Palm Pre and hundreds of millions of dollars of venture capital backing. With all that money and one thousand employees at their disposal, Palm still struggled to put out a quality smartphone. Yes, I loved my Palm Pre, but I'd be the first to tell you that it was not a well-made device. It was thick when smartphones were getting thinner and thinner. It was wobbly and creaking when smartphones were going solid. It was cheap and plasticky when smartphones were going all metal and glass. It was the culmination of years of work by a thousand people and millions of dollars of development and testing and hundreds of millions sent overseas to build the darn things. Yet despite selling a good number of the Pre phones manufactured, Palm still struggled to turn a profit. Samsung and HTC and Nokia all have to work hard to turn a profit. The only smartphone company that seems to exhale and have profit condense out of the air is Apple, and that's because they have the strength to demand tighter margins from their suppliers and build only a handful of products but in massive quantities (whereas everybody else seems intent on diversifying into a dozen different overlapping models). You have a hundred million dollars burning a hole in your pocket? Oh, that's great. You aren't getting it from Kickstarter, are you? Alright, let's talk minutiae now. There's certification that needs to be done for every country where you hope to sell your device. There's quality testing that needs to be done to ensure your smartphone can live up to the rigors of everyday life for at least two years. There's carrier testing, and, oh yeah, the carriers… good luck with them. Your best bet is going to be to build a GSM smartphone, because there's absolutely no way you, a small company with no prior smartphone building expertise, are going to be able to convince Sprint or Verizon to even give you a call back, let alone invest the money they'll need to do proper testing on their network. There are a few locales on our globe (like Germany) where consumers are conditioned to buying smartphones at full price and not dealing with a subsidization built into their service contract. But most of the rest of the world is in a committed relationship with the $200-or-less smartphone, even if it really cost twice that to make (leveraging the above-discussed economies of scale), plus the modest profit you'd really like to take home at the end of the day. As our friend Rene Ritchie, Editor-in-Chief of iMore put it, "the second new iPad cost $300 [to make]. The first one cost $2 billion." There's more to the story than just plunking down a few hundred dollars to cover the bill of materials. There's the design, the testing, the manufacturing procedures, the contracts, and a dozen other bullet points to be crossed off before the first devices can even begin rolling off the assembly line. There's a reason companies like Samsung, Apple, Nokia, and HTC dominate the smartphone landscape - it's because they came into the game with a lot of money and experience already at their backs. Apple started off making computers in 1976, their first smartphone didn't come until 2007. Samsung was founded as a trading company in 1938, entering electronics in the late 1960s. Nokia got their start in 1865, making paper of all things. HTC's been around since 1997, existing first as a manufacturer for other companies. Palm was founded in in 1992 and didn't make the Treo (well, Handspring did that) for another decade. There's an old saying in many industries that has to do with the constraints of reality and the demands of customers: you can have it cheap, fast, or good - pick two.